Kazan State Medical University is a multi-functional and multileveled state institution of higher learning in medicine. It meets both personal and social needs in acquiring education in medicine, in developing bio-medical and clinical sciences, as well as broadening scientific knowledge of medical science. Kazan State Medical University (KSMU) functions on the basis of self-governance and belongs to the system of higher education and scientific research of the Ministry of Health of Russia. The highest body of KSMU self-governance is Academic Council which works in accordance with university's regulations. On March 6, 1994 the university was issued with a license by the State Committee of Russian Federation of Higher Education which grants the right to perform activities in the field of professional education. Under the auspices of KSMU there work a pharmaceutical and two medical colleges in Kazan, one medical college in Mary El Republic, lycee and bio-medical classes on the secondary school basis. This complex educational system in the framework of the university provides the continuous higher education of medicine. KSMU carries on an aimed preparation of experts in different fields of medicine for 10 republics. University has two major periodical publications which come out since the end of XIX century, they are: "Neurology Newsletter" and "Kazan Medical Journal". In 1995 the first issue of "Kazan Stomatology Newsletter" was published and in 1996 journal "Novitas" came out. University's own newspaper "Kazan Practitioner" has been established in 1934. 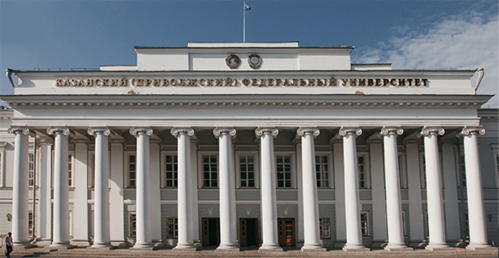 University is one the academic institutions, among Moscow and St. Petersburg surgical-medical academies, which was one of the founders of higher medical education on the territory of modern Russia. We highly respect the names of out first teachers and founders of the Kazan Medical school: Yohan-Friderich Erdman, Karl Fuks, Evgeny Aristov, Nikanor Skandovky, and Franz Elachich..
Kazan is the city which was historically formed, on one hand, as a border between the East and the West, on the other hand, as the place where the two met. Kazan became the center of coexisting cultures which bonded over time and benefited one from another. Kazan is situated on the bank of Volga river in the central part of Russia. Kazan - is a big industrial center with the population over 1,1 million people, there is a railway, motor-way and airport junction, as well as the largest river port on the Volga. Kazan is one of the most acknowledged centers of science, culture and education. There are 14 higher education institutions in Kazan, among them is the well-known Kazan State University, Academy of Science of Tatarstan and the of Scientific Center of the Academy of Science of Russia; 7 professional theaters; philharmony; symphonic orchestra; museums and libraries. Kazan is connected with the names of famous thinkers, writers and scientists, such as L.N. Tolstoy, A.M. Gorky, G. Tukai, N.I. Lobachevsky, A.M. Butlerov, F.I. Shalyapin and many others. Shalyapin International Opera Festival, Nuriev Festival of Classical Ballet, Jazz Festival are the cultural events traditionally take place each year. The climate in Kazan is temperate with pleasant warm summers and winters with mild cold and beautiful snow. The basic branches of the departments of pediatric faculty are the investigations of the age peculiarities of pathology and normal state of child. They work out the problems of adaptive possibilities of children, immunological reactivity in acute and chronic inflammatory diseases, diagnosis and endotoxicosis treatment in childhood and micro ecology of child. The departments of therapy perform scientific research work in the fields of prophylactics and effective treatment of cardiovascular diseases. The priority trends are the investigations of the pathogenesis membrane mechanisms of hypertension, atherosclerosis, myocardial infraction and rheumatoid arthritis. Surgical departments are the leaders of Russian medicine in the field of laser surgery and endosurgery. Regional center of cardiovascular surgery is formed in one of the departments of the university. The faculty of prophylactic medicine deals with the problems of ecology, environmental pollution in oil-fields. They created the program of training doctor-ecologist for all medical institutions of Russia. The dental school of the university is well-known for developing new constructions of dentures, implants, orthopedic materials with forms memory. Clinical training is performed at 54 units of the Ministry of Public Health of Russian Federation. There are 33 general hospitals, outpatients departments, 21 policlinics, maternity houses, dental polyclinics, etc. The total number of beds is 8600. There are 4315 therapeutic, 2120 - pediatric, 1210 - surgical and 440 - gynecological beds. Clinical training of the medical pediatric and dental faculties students is provided in 54 medical institutions. There are hospitals, maternity houses, special diagnostic centers, out-patients units and 20 polyclinics including dental and children's. Clinical units have 8600 beds. University dental polyclinic has 98 dental chairs. Republican and 8 city centers of sanitation and epidemiological control with the specialized departments and laboratories are used for teaching the students of prophylactic medicine faculty. Pharmaceutical faculty uses for training its students 65 pharmacies with the laboratories in State, 18 pharmacies in Chyvachia and some commercial pharmaceutical units. Providing methodical help, organization of qualified examinations for interns from the medical institutions. pathologic anatomy, clinical pharmacology and biochemistry, medical psychology). Apart from the special subjects, the program includes the study of interdisciplinary subjects, electives, the choice of which depends on the main specialization. After finishing the course the students have to take qualification examination. The certificate is granted in accordance with satisfactory results and it gives the right to start medical practice. The advanced training of doctors is based on the four courses: doctors of general practice (family medicine), pediatric surgery, pharmacy, medical ecology and sanitary-epidemiological control. The training is performed in cycles of thematic advanced education, general training and specialization which lasts from one week to three months. The advanced training of the teachers of medical colleges of Russia has been performed during 30 years. The university is the base for the activities of the Coordination Council of the joint work with the medical, pharmaceutical colleges. Academic research work of the university covers a wide range of areas in clinical elaboration on the problems of physiology and pathology of the cardiovascular system, diagnostics and treatment of malignant neoplasm, age peculiarities of child's organism in the normal state and pathological, solving of the modern problems of dental diseases, problems in diagnostics and prophylactic of infectious diseases, development of the scientific care of women's illnesses, mothers, fetus and newborn, hygiene of labor, and the basics of pharmacy. Traditionally the most strongly developed scientific areas are the university are the fundamental developments. The scientific groups of neurophysiological laboratories of the departments of physiology, medical physics and histology work on the highest European level. During the last year we've got priority data of mechanism of release of the mediator in the neuromuscular synapse, its interaction with postsynaptic membrane, peculiarities of neuron structure and functioning. The department of biochemistry, headed by academician D. Zubairov created and proved the theory of continued blood coagulation and worked out technology of getting human blood preparations for clinical tests. This work was recognized by the State premium of Russian Federation. The premium and diploma was given by the Academy of Science to recognize the program "Blood circulation in the brain", the university also received State premiums in the areas of science and technology for physiology and pharmacology, 5 premiums VDNH, medals from Check Academy of Science named after I. Gavki and Y. Purkinie for the achievements in biophysics, premiums from the European and Russian linguistic competitions for introducing the theory of the convergent development of languages of the euro-american area, as well as the encouragement premium from the Fund of Soros. The department of pharmacology with chemical laboratories elaborated and approbated medicine from phosphororganic compounds. Now they are investigating pharmacological characteristics of some antiblastomic preparations. During the last years university has developed and introduced into the clinical practice the following preparations "Ksimedon", "Fibronektin", "Fosphobenzid", "Glizifon", "Mefopran", "Tetramezin", "Bacterial ribonucleasa". There are three scientific councils which supervise the process of defending the thesis in 9 specializations: internal diseases, cardiology, hygiene, pediatrics, pathological physiology, normal physiology, dentistry, pharmaceutics, organization of healthcare. Student scientific society works regularly and is quite active. Especially for the distinguished students special scholarships named after remarkable scientists of the Kazan medical school are being given out. 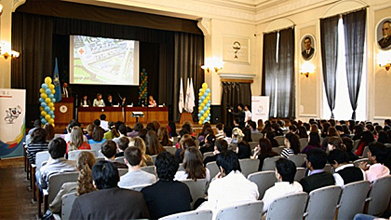 One of the main activities of the university is the development of the international relations which helps establish the international status of the university, strengthen mutually beneficial relationships with academic, scientific and medical organizations of other countries, as well the integration of the university in the international system of higher medical education and medical help. During last years the university actively participated in the international projects IREX - USAID and TEMPUS. The professors and chief residents from Yale University are coming each year to give lectures in "evidence-based medicine". Since 1995 we are the member of International Association of Medical Students and our fourth-sixth year students have their summer practice in Europe , Africa and Latin America. International club "Medical student" was organized in 1996. Many departments of the university have their direct contacts with different scientific and clinical institutions in Europe, Asia, and America. The library of the university has more than one million books of scientific and teaching literature. It has the subscription of 354 foreign and 254 Russian scientific medical journals. The climate in Kazan is temperate, with warm sunny summers and snowy winters with mild frost. Students can participate in year-round recreation, including football, tennis, basketball, swimming in summer, or skiing and skating in winter. Our university encourages the broadest participation of its students in a wide variety of athletic programs. During holidays the students can relax in the camp "Medic" in the woods on the bank of the Volga river. Kazan State Medical University offers its services to the students of all nationalities and religions. Student's club is used for the different kinds of student's activities. Our students participate in different festivals and have their newspaper "Kazan Medical Student". 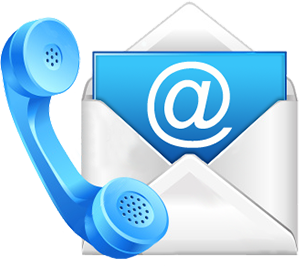 We invite interested faculties, students and staff to contact us in order to learn more about the medical education to be found in Kazan.